If clicking on a link brought you to the wrong page on the comment thread, click here to go to the current page. Wonder what really happens at the consulates? 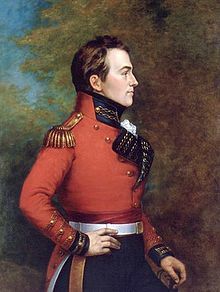 Find out in the Isaac Brock Society’s Consulate Report Directory, currently 268 pages of first-hand accounts of renunciation/relinquishment appointments, arranged by consulate location, along with further information and links to the required Dept of State forms and the Dept of State manuals used by the consulates in processing CLN applications, with an appendix containing a timeline chart (booking-meeting-CLN) as reported by consulate location. This thread is a continuation of Consulate Report Directory Part 1, which contains earlier discussion on this topic, 929 comments from its inception in March 2012 through February 2013. The only significant question will be Are you sure?. Other than that you are not obliged to say anything. Keep it simple. Don’t mention taxes. The consular officials are well aware of what’s happening. About a month ago I had a Brock post (for which comments are closed) detailing the experience of a young adult person attempting to renounce U.S. citizenship in Canada. Personally I feel that the intense grilling by the Vice-Consul was clearly inappropriate, but others will disagree. The good news is that the person (who was worried) has just received a CLN, and I have updated my post to disclose this. OK here we go. I was a naturalized citizen and Britsh citizen. I eqnuired at the London Embassy the fomrs needed in my case to renounce in November last year 2018. Sent off e mail to the renunciations department. They were very helpful and told me I did not have to complete the DS4079 form only the questionaire as that is not required to renounce. I sent off only two forms they required to renouce. One was the “questionair” form. A single sheet asking for periods of residence and the , last address in the USA, current address and place of birth and naturalization place. The other form was the “Informal acknowledgemen”t form and again a single sheet along where you circle yes no answers. I sent via e mail copies of my US passport and my British passport & in my case copy of my naturalization certificate. I applied in November 2018 and within 24 hrs had an appointment for late January 2019. I renounced in late January. The process was smooth. Arrived at the new London US Embassy went through security it was very quiet. Went up to designated floor and was given a number. Sat down with others there. There were maybe 15 others just in my time slot. Families, single people, couples, accidentals, some who had left years ago, some who had left when 3 years old all different. I was callaed to first window and was asked to go through the forms (Standing in a sort of booth open at back to the rest of the room with the officer or clerk on the other side behind bullet proof glass) Sat down again. Called to pay window paid my $2,350. Sat Down again was called to another window to pay for courier fee for approval and CLN to be delivered and was given form to fill out for delivery adddress and paid courier fee of £8.75(cheapest choice). Sat down again. Final call was to a consular officer. Again you stand in a sorrt of open booth with them behind bullet proof glass. Went through documents in front of me. Officer asked me if I wished ot make a statement I said no. Officer made me read through the infomral acknowledgement from and then out loud to him, the wording about wishing to renounce etc. Signed various forms in front of officer, as he asked me to do. After I thought the process was oevr the consualr officer said to me “Why are you are taking this actin today to renounce and what is the reason”? I was pre-prepared as others in the wating area had also been asked and so were taling about this to others. In my caseIi said i no longer wanted to live in the USA and wanted to simplify my life and no longer wanted to live there. He said that was fine and i understand. He was not pushy or rude and very polite. He then siad to me that I would no longer be able to enter the USA without applying for a visa waiver or visa and would be then an Alien. The process was irrrevocable. As I was about to turn and leave the booth he said to me ” “we are sorry to see you go” which was rather upsetting really. I then left. That was late January and my CLN and letter from the embassy has arrived this week. From the renunciaiton interview to receipt of CLN just over 2 1/2 months. What I was led to beleive by lawyer condors was a very complicated task was in fact a simple task doing this myself however without you all I would not have got as far as I did nor would I have known what to do or what to expect or what to prepare for, so THANK YOU ALL of you! I am eternally grateful to those that went before me on this site, in leading me through this challnging period of my life.Please bring back the side bar thread aboout renouncing as that is where I asked and got most help with my questions and the invalubale support I received from other Brockers on here. Words cannot explain how thankful I am to you all. With love and eternal thanks Kabby. So glad to know all went smoothly, enjoy your freedom. My consular official also said that “we are sorry to lose you”, I felt like saying that it the US who was responsible for driving me away, but I said nothing. do you know if the other 15 or so were there to renounce or did some have other business there? “The one”? One one among many ones. I also still think it was silly to close the sidebar on questions about renunciation. Newcomers who have questions will come here and get the impression they have to go elsewhere. You bet they eavesdrop and monitor you while you are sitting there. Apart from everything else they will be paranoid even after all that entrance security that someone will be there to do them some harm! I had to kick my spouse who was also renouncing when spouse made some derogatory comment on the two rogues whose photos we had to stare at while waiting! Yay you! Congratulations! It’s Interesting to me that at one consulate (out of hundreds), on one day, there were 15 renunciants and yet the worldwide official renunciation numbers listed each quarter only total about 1000 on average. Even if your consulate only processes renunciants once a week and let’s say averages 10 renunciations those days, it alone would be producing at least 100 per quarter or 400 per year. The official renunciation numbers seem very fishy to me. BTW there were 10 at the Calgary consulate the day my husband did the deed 5 years ago. One got cold feet and went off for a rethink though. Glad your head stayed clear, your heart stayed strong and your feet stayed warm. You are free! So they’re not the slightest bit sorry for making our lives a living hell while we’re citizens but when we finally renounce to escape the b.s. suddenly they’re “sorry to see us go”. What a screwed up system. Glad our Brock” “motley crew” was able to help and it all worked out, Kabby. Congrats! No kidding. But even though your analysis was impeccable, I’ll repeat my devil’s-advocate explanation for the official numbers. People who renounce because of coercion from the government, because they can’t stand the abuse, don’t belong on a list of people who voluntarily choose to renounce. @Kabby, so glad to hear it all went smoothly and yes, it is that simple. As a British citizen you’ll just need to apply for a ESTA should you ever want to visit the States again which again is fairly simple, if a bit time consuming. Now go out there and enjoy life at a Brit only.